Goodbye to paper chaos and welcome to your digital office: PaperOffice 2019 tidies up desks and filing cabinets. FRANKFURT, GERMANY, January 11, 2019 /EINPresswire.com/ -- Functionality, security and intuitive operation make the new version of the document and information management system (DMS) a real everyday help. 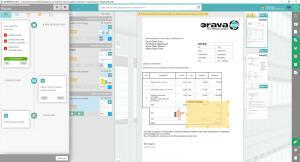 PaperOffice 2019 sets new standards in document management and enables new ways into the electronic office, is thus something of the personal house elf for the office; a really clever house elf. Tasks like digitization of paper documents, revision-proof e-mail archiving, high-performance text recognition or keyword search are no problem for PaperOffice 2019. Thus, the system is aimed not only at friends of magical office pets, but all bosses and employees who want to optimize their time management. Why? If you use PaperOffice, you will save about 150 hours a year on average, which otherwise would be lost in the search for Office documents. Enough time to finally master any business language to take on a further education - or to take it a little easier. The trick: PaperOffice allows you to record documents in a variety of ways. Existing electronic files are integrated via drag & drop from the file system, by bulk import of individual files or by importing the Windows folder structure into PaperOffice. 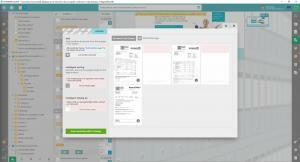 ScanConnect, the standard integrated scanner module, scans scanned paper documents into the system in seconds. These can then be edited, saved, optimized and provided with individual notes. In turn, the OutlookConnect module enables fast and intuitive import of e-mails without any third-party software. Storing e-mails and their attachments in shared folders ensures the greatest possible overview. Audit-proof e-mail archiving meets all the requirements of the legislator, regulations governing the use of IT for bookkeeping and other business records. In practical office life, PaperOffice derives digitalization from simple labeling. Once digitized, all documents can be searched using the internal search engine - whether e-mail, PDF or scanned paper document. The live keyword search delivers all hits in a jiffy. Filter settings limit the displayed search results by date, user, document type or keywords. Good to know: Paper Office 2019 is not a cloud solution. All documents are stored locally with up to 1024bit AES military encryption. So the control always remains with the user. Thus, PaperOffice also meets the needs of entrepreneurs who do not want to put their most important business capital - their information - in the hands of third parties. 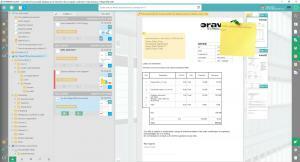 PaperOffice is available in 4 languages, such as English, German, Spanish and Russian. Also offers a 14-day free trial period.